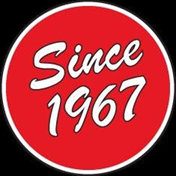 In 1967, Jerry Hatfield started serving the local delivery needs of the Dallas/Fort Worth area with a personalized, reliable and on-time courier service. At first he didn’t have a name for his fledgling operation, but while he was delivering a package one day, Jerry was asked what the name of his company was… Jerry thought a second, then noticed a television tuned to one of the NASA space launches being counted down. Jerry didn’t miss a beat, informing the client that his company was named Countdown Couriers! We like to think that as space-age technology grew, so did we. We utilize high-tech solutions at every stage of the delivery process, from computerized dispatch to smart-phone equipped couriers. Countdown Couriers, Inc., is now celebrating serving the local courier and messenger needs of the Dallas/Fort Worth area since 1967. We are very proud that our company is also one of the oldest continuously operating local courier companies in the Dallas/Fort Worth area. We have that rare blend of personalized service that is coupled with the latest technology which allows our clients to have absolutely the best service experience in the industry. You don’t have to go to the moon to use Countdown – we’re here waiting to serve you! How do you Measure a company? We believe one way you measure a company is by how you treat your fellow workers, which then translates to how you treat your customers. We believe in the old adage “treat others the same way you want to be treated”. We live by that motto as a company and it is evident in terms of how tenured our workers are: Our office staff averages more than 25 years experience, while our courier force averages more than 10 years, practically unheard of in this industry. We take great pride in the fact we have a large number of clients that have been with us for over 20 years, and we believe it is due to this attitude. In 1967 when Jerry started Countdown, we primarily delivered legal documents and court filings. Since 1967, Countdown has expanded service to include the diverse needs of our clients, such as: Payrolls, medical, pharmaceutical, retail, food, personal and corporate gifts, freight, architectural, real estate, and many others. In 1967 we serviced only the Dallas/Fort Worth area, today we also offer same day deliveries from the Dallas/Fort Worth area to any location in Texas and the surrounding states including Fort Worth, Arlington, Dallas, and Plano areas. No matter if you’re an individual with a personal delivery need, home based business or a Fortune 500 company, Countdown can meet your local delivery needs. We also service any residential delivery need, and, unlike other companies, we don’t punish any of our customers with extra fees to deliver to or pick up from residences. We welcome the opportunity to serve you no matter where you are located in the Dallas/Fort Worth area. 20 years ago Countdown was a pioneer in the next day delivery market in the Dallas/Fort Worth area. Today Countdown Couriers, Inc. services the next day delivery market for clients with a high volume of deliveries being picked up in Dallas/Fort Worth area and being delivered to Dallas/Fort Worth area locations, utilizing our next day delivery drivers. We serve the payroll, medical, part suppliers and other industries with this service. Countdown was offering these services years before the national overnight next day delivery companies offered Dallas/Fort Worth area next day ground services. Contact us for more information on this service. Countdown continues to expand its services with the introduction of our newest delivery option, Personal Concierge delivery service for those that need personal errands and need that special touch to make their life easier. Look for the link on our Home page about this exciting new service e option or contact us directly. Countdown is open 24 hours a day, 7 days per week to serve the needs of our client’s. Since 1967 our clients have counted on Countdown to serve their local messenger and delivery needs. We are your full service local courier company specializing in same day deliveries as well as customized next day services. YOU CAN COUNT ON COUNTDOWN! !